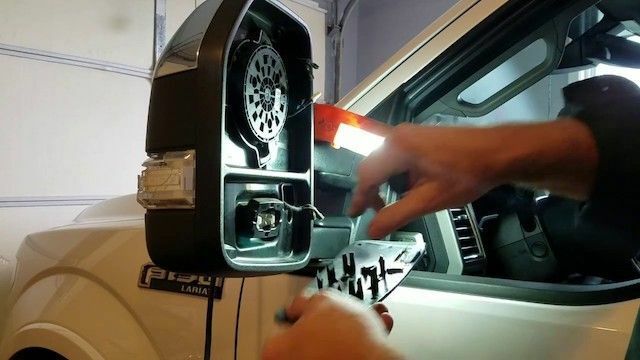 We’re going to show you how to replace the side mirror on your F-150 in 10 minutes. It’s an easy and straightforward process. There’s no point in bringing your car to the nearest Ford dealership to have the job done. If you value quality, longevity, and appearance, then OEM is the way to go. You could buy an aftermarket side mirror, but there’s no guarantee that it’ll last a long time. It might not even look good paired with the OEM side mirror on the other side of your truck. Luckily, OEM side mirrors are pretty affordable if you order them online. Dealers and shops usually mark up their prices by as much as 30%. Take a look at a reputable parts website like FordPartsOnSale.com. 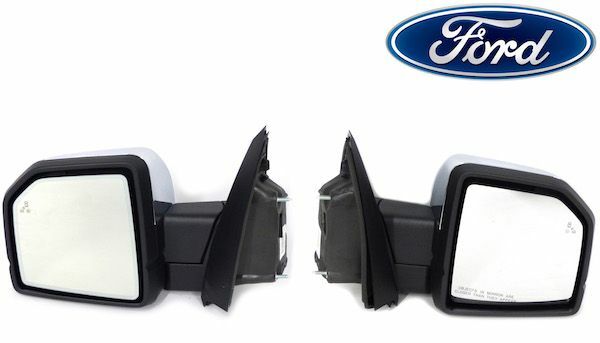 You’ll find genuine OEM parts, including F-150 side mirrors, at wholesale prices. Check out our catalog to see all the genuine OEM replacement side mirrors that are available for your F-150. Don’t forget to refine the search results to display only the side mirrors available for your model year! This set of instructions is based on the 2016 F-150, but you should be able to follow it with an older or newer F-150. Open the door with the broken side mirror. Turn off the dome light to prevent it from draining the battery. Behind the panel, you’ll find a electrical connection. Press down on the tab to disconnect it. Pull the harness clip off the stud. Now, you’ll see two 10mm nuts and two 10mm bolts. Unfasten all of them. Gently pull the side mirror off the truck. You may have to wiggle it a bit to get it loose. Install the new mirror in the reverse order.